Eager to spruce up your rig with a liquid cooler that not only performs admirably but also looks the part? 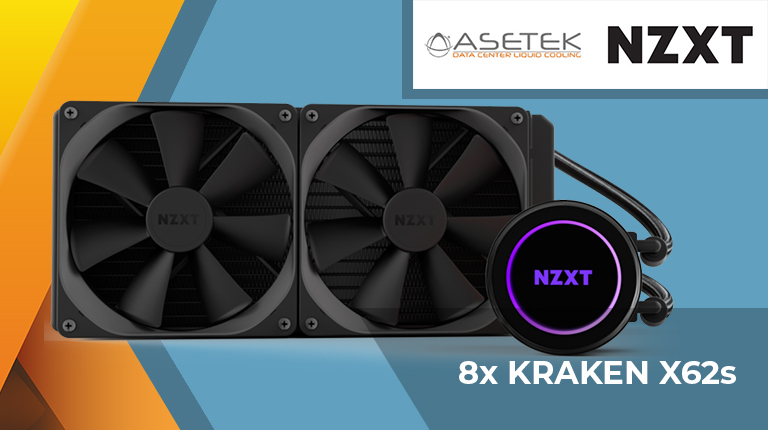 You're in luck, as we have a total of eight Asetek-powered NZXT Kraken X62 280mm all-in-one coolers just sitting around asking to be won! The prize draw is open to HEXUS readers in the UK aged 16 years or over. The competition winner will be picked at random from all eligible entries that arrive by 09:00 London time on the closing date, December 25, 2018. The prize is one of eight NZXT Kraken X62 liquid coolers. Good luck to those who are eligible for this nice prize. Could we stop with the non-global prizes during the EPIC Giveaway??? The three component giveaways so far have been a triple slot graphics card, full tower case and a giant CPU cooler. I hope you've got some top notch SFF stuff lined up for future days too.